As the lines between the large enterprise resource planning (ERP) providers and best-of-breed supply chain management applications continue to blur, the ERPs are now moving to create holistic, end-to-end “hubs” that incorporate multiple trading partners, providers and even customers. For it’s most recent “Supply Chain Management User Wants and Needs Study,” asked its customers about their use of “mega-suite vendors” like , , and . While not necessarily known for being specialists in any single area, the study found that these large, enterprise resource planning (ERP) vendors appear to be gaining ground in the supply chain management (SCM) software arena. In fact, the largest ERP vendors have all posted significant growth in SCM over the last five to six years, according to the Gartner results. Over the next few pages, we’ll explore ERP’s continued and steady march into the SCM space, find out what’s driving these moves, hear why best-of-breeds are still valuable in certain situations, and find out what ERPs are doing to help shippers achieve their end-to-end supply chain visibility goals. Even though he knows that shippers will probably take the path of least resistance and work with their existing providers to gain SCM functionality, Klappich usually advises companies to explore all of their software options before making a decision. He does this even when there’s a strong and obvious bias toward a large ERP offering. Many times, the advice falls on deaf ears. That’s because for many companies, the Toyota Camry does the trick, says Klappich, making the more expensive BMW or Mercedes-Benz unnecessary. Another trend driving the ERP-based SCM market right now is the rate of innovation and spate of innovations within that market. Klappich points to Infor’s purchase of , a provider of cloud-native, predictive, and machine-learning solutions for retailers, as one example of how the ERPs are expanding their portfolios on the supply chain front. 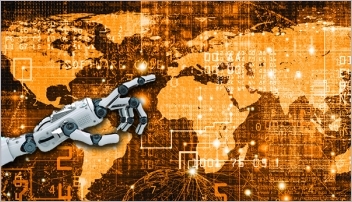 As , vice president of supply chain management at , surveys the current state of ERP in SCM, he says that, for the most part, today’s ERPs offer functionally-rich SCM solutions that integrate cloud-based options that may even be a little bit ahead of the best-of-breed options in some cases. “The fact that their cloud-based solutions require little or no customization to get up and running—and that they’re integrated into a larger solution that the shipper is already using—makes ERP offerings particularly attractive in today’s cost- and time-conscious business environment,” says Banker. “Today’s software solutions are so rich and so configurable that it rarely makes sense to go down the path to customization. Oracle, for example, makes it possible to add customizations to its cloud solutions, but it really discourages that move,” he adds. As the lines between the ERPs and best-of-breed SCM solutions continue to blur, Tom Cassell, vice president and supply chain solutions leader at CapGemini, says that the former are definitely stepping up their games in the core areas of supply chain. In particular, Cassell says that ERPs like SAP and Oracle are improving and enhancing their transportation management, warehouse management, planning, and procurement offerings to the point where those solutions may soon not even be discernible from best-of-breed offerings. On the other hand, Cassell says that the impacts and requirements that the digital economy has placed on shippers have opened the doors for best-of-breed SCM providers to develop some very targeted solutions. The growth of omni-channel, for example, has made a significant impact on the retail and consumer products industries. 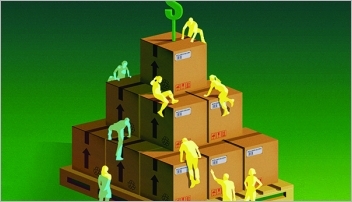 This, in turn, has placed greater demands on the logistics and fulfillment companies that serve those industries. 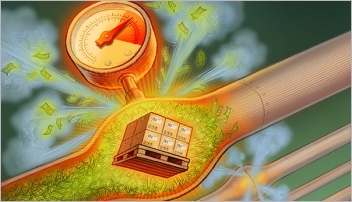 Supply chain visibility is another area that’s being influenced by digital requirements, according to Cassell, who says numerous best-of-breed SCM providers have addressed this issue with solutions that help companies more effectively view and orchestrate inventory and logistics activities related to omni-channel. “This is another area where best-of-breed players have made significant inroads compared to traditional ERP vendors,” says Cassell, adding that the ERPs are paying attention to these “digital disruptors” and working to better their solutions—many of which were designed around a single, holistic approach to models like omni-channel. 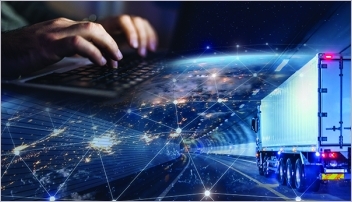 “Their message to shippers is, ‘Look, you can’t provide a seamless shopping experience with a fully integrated and orchestrated fulfillment process on the back end with a bunch of best-of-breed solutions,’” says Cassell, who expects the ERPs’ single-model sales pitch to continue to resonate as the software providers continue to improve in areas like omni-channel visibility. As the ERPs continue to evolve and hone their SCM offerings, most are also looking at how to create holistic, end-to-end supply chain visibility that incorporates multiple trading partners, providers, and even customers. In fact, Banker says Oracle, SAP, and JDA are all developing “supply chain control tower” solutions that give users better end-to-end visibility across the entire supply chain. And, he says, all three are approaching the task in a very similar way. The problem, Banker says, is that no single provider enables perfect visibility across the supply chain. “Where a provider like GT Nexus can handle ocean, and where Descartes manages air well, truly becoming a ‘hub of hubs’ requires platforms that can hook into those of other providers,” he says. And while providers have been talking about the control tower concept for several years now, Banker says that we’re now in the early stages of actually making it happen.